We were proud to be Awarded "UK Dry Cleaners of The Year", the only time it been awarded in the North of England. Why Choose Us To Clean Your Wedding Dress? 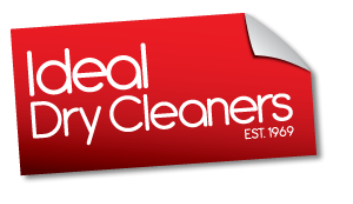 As the North Easts most experienced wedding dress cleaners, with over 120 years of experience on site and having been established since 1969, our staff have the years of experience to take great care in cleaning & preserving your wedding dress. In your lifetime, few memories will be more precious than those of the day you are married. And surely there is no more a treasured symbol of this event than your wedding dress - a dress that was selected with so much care, and worn with such happiness and pride. But when your wedding is over, and the excitement has turned to relief, it's easy to forget special care must now be given to your cherished garment to preserve and protect it for a lifetime. To simply cover and hang your dress in a wardrobe is not enough. the deteriorating effects of dust, moisture, sunlight and heat will soon become apparent. But now happily, you can protect your wedding dress with our acid free preservation box, an extraordinary packaging concept specifically designed to preserve your wedding dress in the gentle, yet durable and long-lasting manner it deserves. Take advantage of all the Acid free box has to offer, ring, text or e-mail us as soon after the wedding as possible, and we will personally collect the dress, clean and preserve with our special heirlooming process, and carefully fold and pack with acid free tissue, and place in a beautiful acid free treasure chest, where it will be protected and preserved for a lifetime. Then in time to come, should the chance arise for your own loved ones to wear you wedding dress, it will look as fresh and exquisite on them as it did on you. Choose the North East Wedding Dress Cleaning Experts.